Ian Reeves explains how the bright-line test and Residential Land Withholding Tax rules could affect you when selling land in NZ. If you’re thinking of buying or selling land – whether residential or otherwise – the new tax rules introduced in 2015 and 2016 may apply to you. So it pays to understand the laws around the bright-line test, as well as the Residential Land Withholding Tax rules, before you buy or sell land in NZ. All sellers of land – not just residential land – must now sign a statement with information about the property that is gathered by the government. If the land being sold is a main home, inherited land or a mortgagee sale, some information on the statement is not required. The bright-line test came into force on 1 October 2015, and is often referred to as a capital gains tax rule. The tax on residential land sales applies to properties sold within two years of purchase. This new tax rule on land sales was introduced to combat speculation on property, mainly in the buoyant Auckland market, but applies everywhere in NZ. The bright-line test does not apply to business premises or farmland, although lifestyle blocks are generally viewed as residential property under the bright-line test. There are other exceptions too. The sale of your main home is an exception, but an “habitual seller” (someone with a pattern of regularly buying and selling property) can’t claim it. The exception on a main home can apply to trusts, if it is the beneficiary’s main home for most of the time the trust owns the land. Land transferred in a relationship property settlement is also an exception, as is inherited land. Losses on the sale of a property are ring-fenced, and can only be used against profits from similar land transactions, not other income. So in effect, you can’t use losses on the sale of land to reduce taxes on your other income. The new Residential Land Withholding Tax rules came into effect on 1 July 2016. These new tax rules apply to residential land sales in NZ that fall under the bright-line test, where the seller is an “offshore RLWT person”. An individual who is not an NZ citizen and does not hold an NZ residence class Visa. A NZ citizen living outside NZ, who has not been in NZ within the last three years as at the date of signing the agreement. A holder of an NZ residence class Visa living outside NZ, and who has not been in NZ within the last 12 months. Partnerships and co-ownerships – each of the individuals to be assessed. NZ companies if more than 25% of the directors or shareholders are offshore RLWT persons. Trusts have a number of categories for them to be included e.g. where offshore trustees or beneficiaries are involved. The Residential Land Withholding Tax is intended to ensure offshore persons pay any tax due on land sales under the bright-line test, which means any land sold within two years of purchase. There is no exception for a main home under the RLWT rules. Under the RLWT rule, part of the sale proceeds of land are paid to IRD by the seller’s lawyer, as a prepayment or bond against possible income. 10% of the amount paid by the purchaser for the property. As a seller, you can file an interim income tax return, and obtain a refund from the IRD if you’ve had too much RLWT deducted. For sales of residential land purchased after 1 October 2015, and owned for less than two years, a RLWT declaration must be signed by the seller, even if they are clearly a New Zealand citizen. If, as the seller, you are able to sign the statutory declaration that you are not an offshore person, then there is no obligation to withhold tax, and no RLWT should be deducted. If you’re thinking of buying or selling land, make sure you get the right legal advice first, so you fully understand how the rules regarding tax on land sales will affect you. 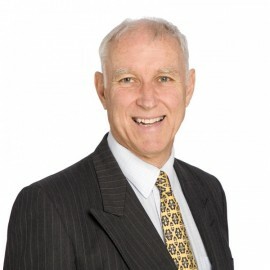 Ian Reeves is a Director at Henderson Reeves Lawyers. You can contact him on 09 430 4340.